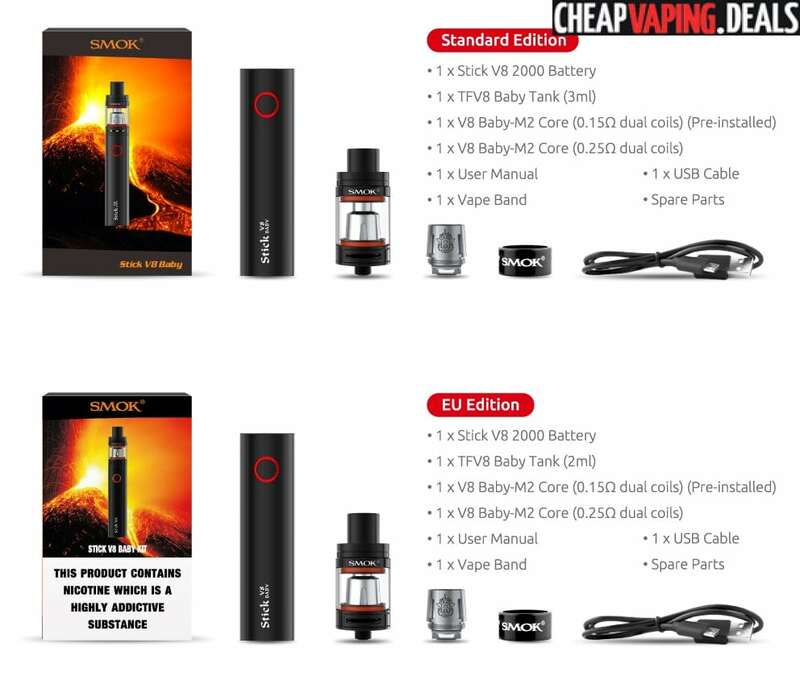 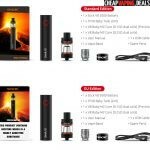 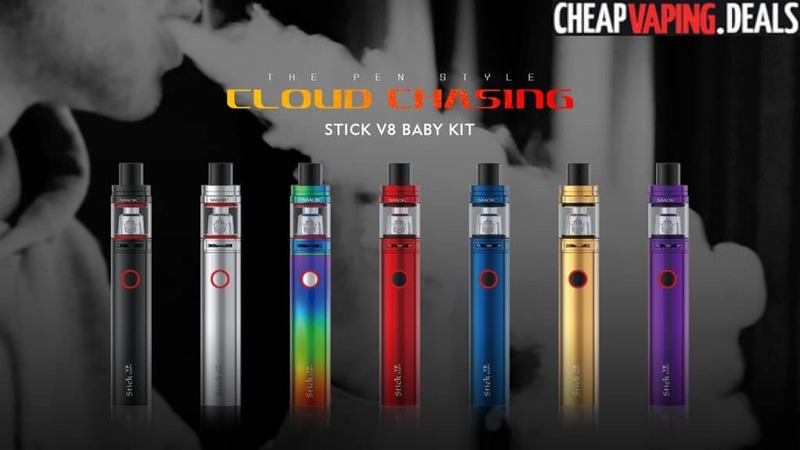 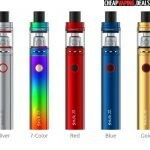 Check out this awesome price for the Smok Stick V8 Baby Kit. 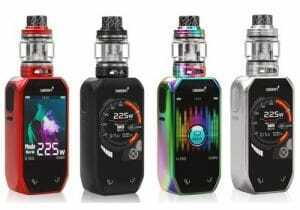 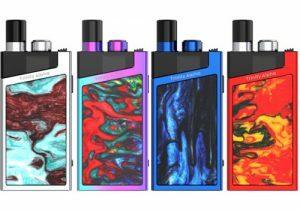 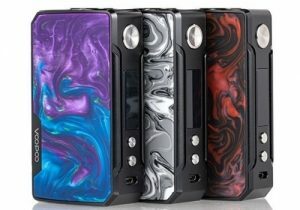 This kit features an impressive 2000mAh battery capacity for long vaping times, a 2ml tank with top fill and massive vapor production with flavor. 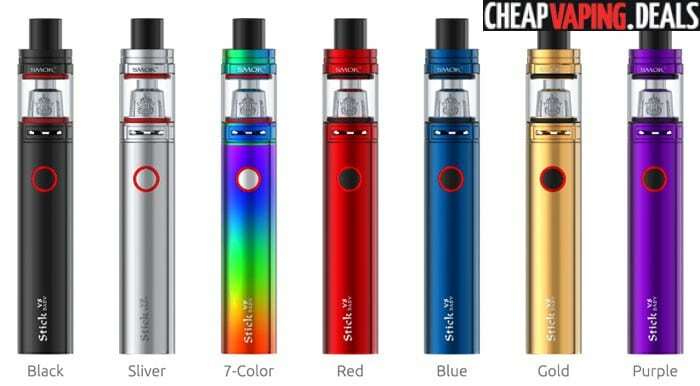 This kit’s retail price is $40. 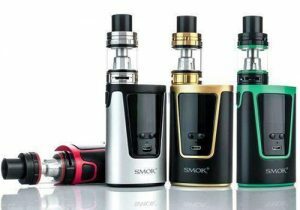 The Smok Stick V8 Baby Kit is a all-in-one vape starter kit with amazing vapor production. 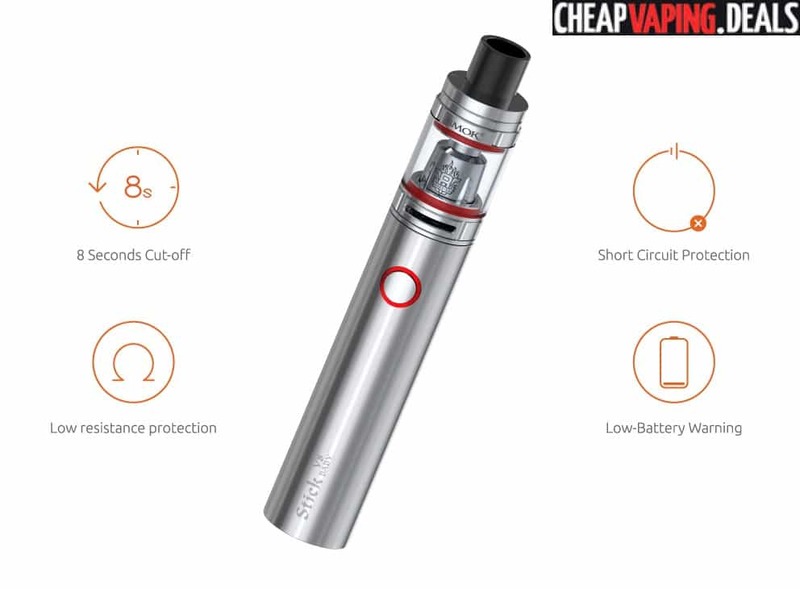 It consists of a 2000mAh capacity pen-style battery with the 2ml top-filled TFV8 Baby Tank. 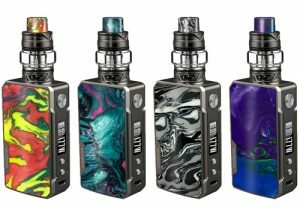 The kit is available in purple, gold, blue, red, 7-color, silver and black. 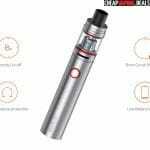 The tube-style Stick V8 battery mod is made from stainless steel, has measurements of 22mm x 83mm and a weight of just 80.8g. 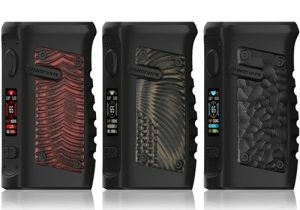 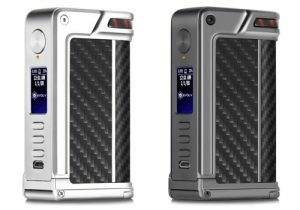 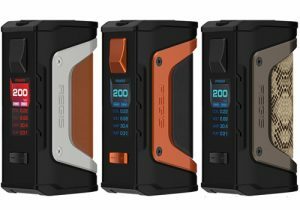 The battery is made with an internal 2000mAh cell that allows for long vaping times. 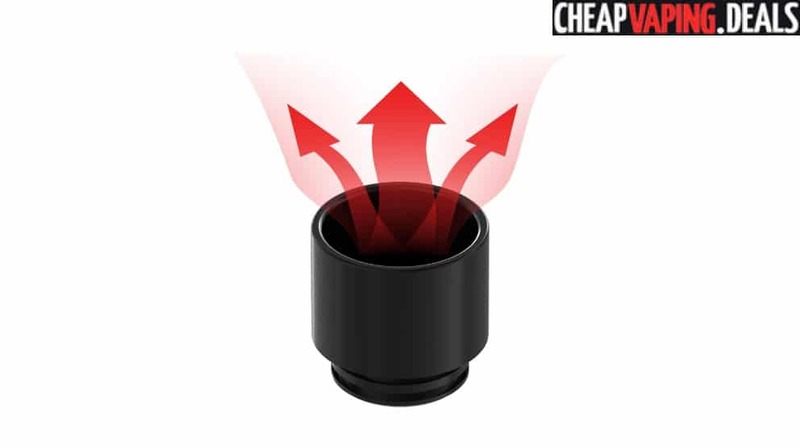 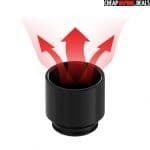 The firing button is located at the top and is large for easy operation. 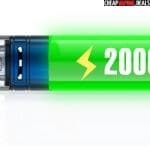 An LED surrounds the button and will blink fast if voltage has dropped under 3.3V and it’s time for a recharge. 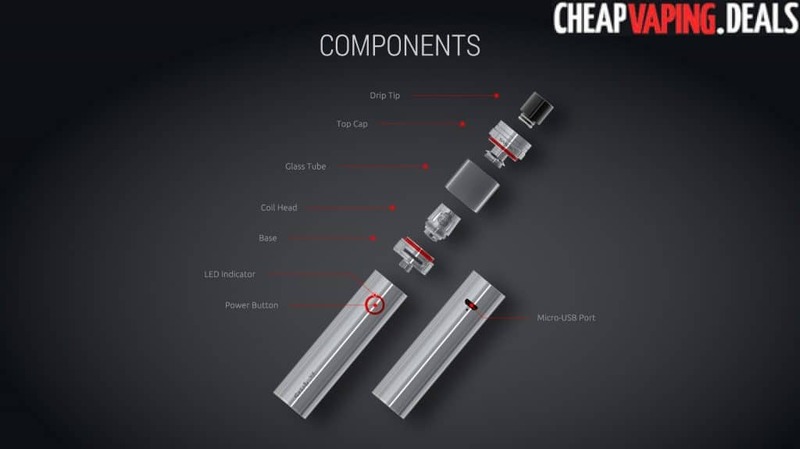 Wattage output is based solely on battery charge levels, so it is essential to keep the cell topped off for best vapor production. 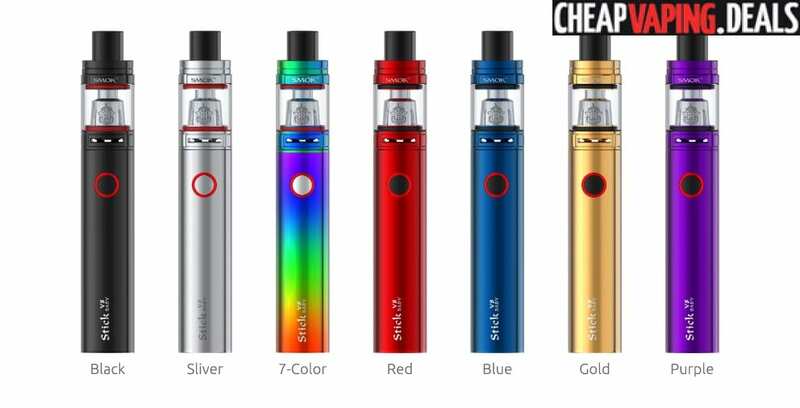 Multiple safeguards built into the Stick V8 include 8 second overpuff, short circuit, low resistance and low voltage protections. 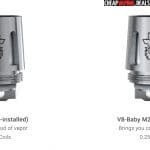 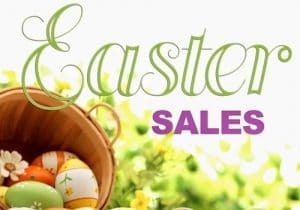 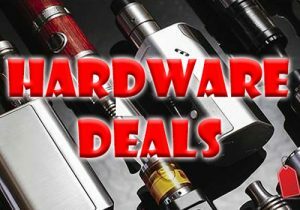 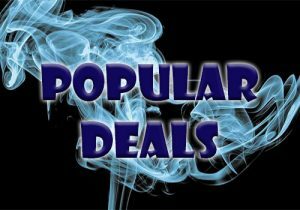 The TFV8 Baby in this bundle is a premier cloud producing atomizer that was made specifically for amazing vapor production at mid-wattage power. 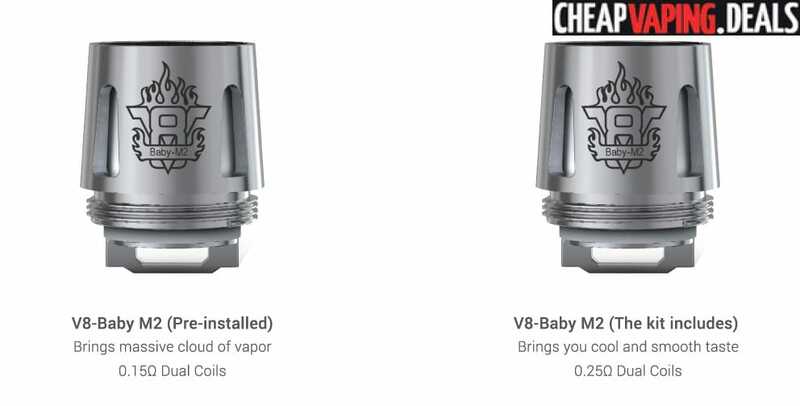 The Baby version is the smaller version of the Smok TFV8 and features new coil options and a 2ml e-liquid capacity. 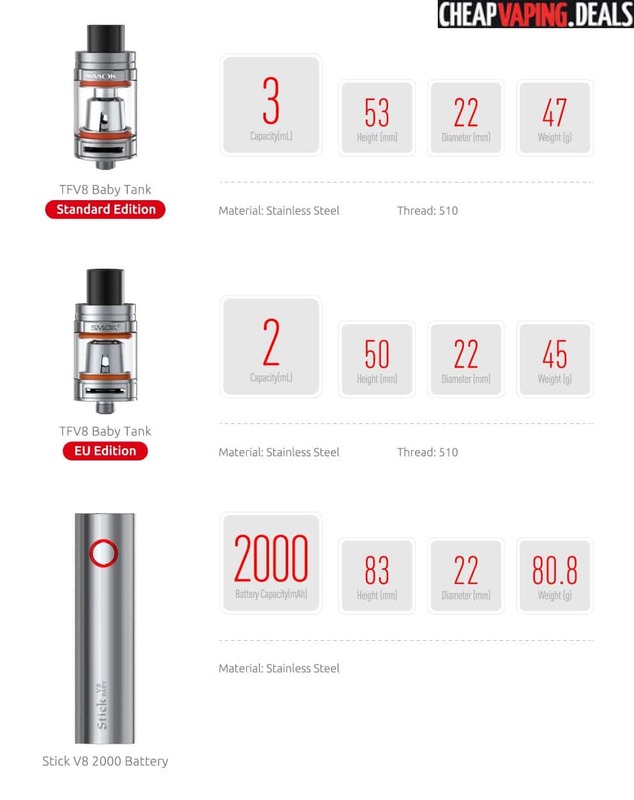 The tank is tiny with measurments of only 22mm x 53mm. 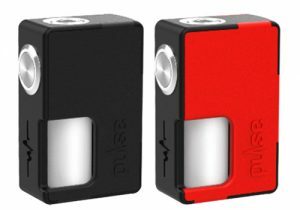 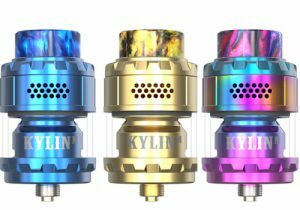 It’s about a third the size of the larger TFV8 and its weight comes in at 47g. 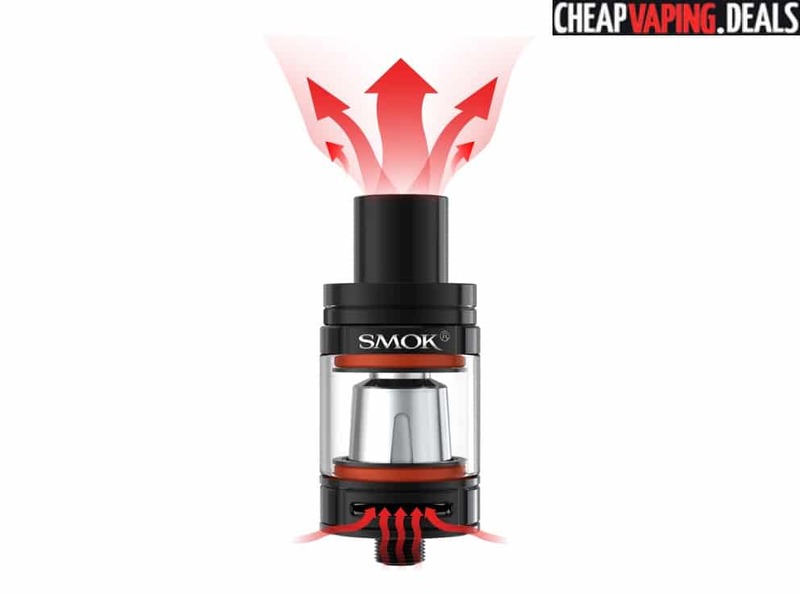 The device utilizes a stainless steel chassis for durability with a glass tank reservoir. 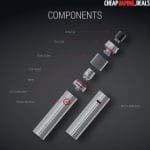 A 510 connection at the bottom easily attaches to the Stick V8 in this kit or any other mod with a standard connection. 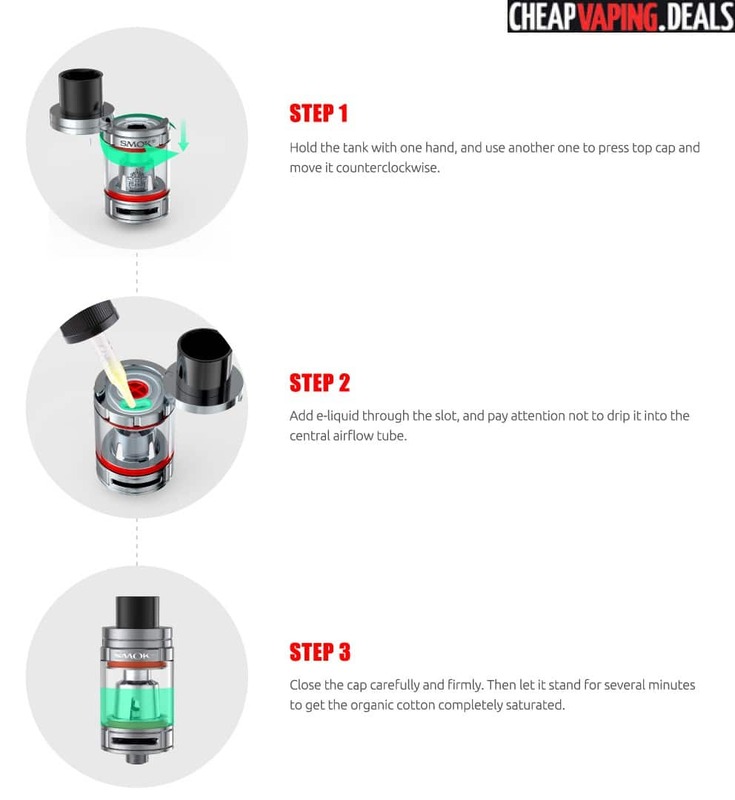 A big Delrin drip tip ensures adequate travel of airflow that enters the tank via two large intakes that were designed to maximize flavor and vapor. 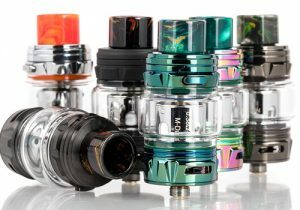 The Baby version of the TFV8 is designed with a top fill setup that involves rotating the top cap open via a hinged setup that is patented. 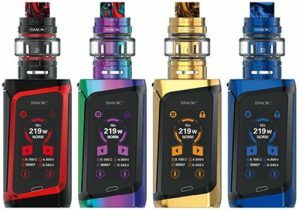 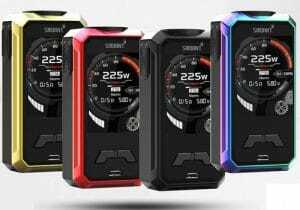 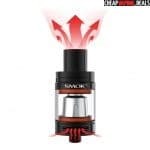 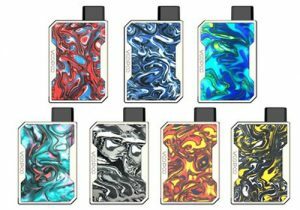 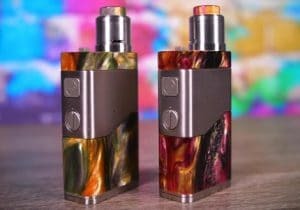 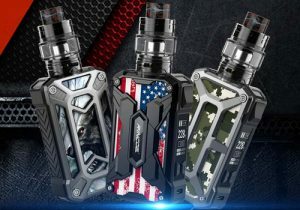 Overall, if you like the TFV8 series of atomizers and you’re looking to use it with a portable battery mod, this Smok Stick V8 Baby Kit may be precisely the right setup.